Warm up inside and out with some good, old-Maryland comfort food. I have to be completely honest with you: I don't like seafood. Of any kind. The smell, the texture, the not-of-land taste. This is a particularly unholy revelation because I was born and bred on the Eastern Shore, never more than five minutes from the Chesapeake Bay. We east Marylanders (minus me) are supposed to like sitting outside on a hot summer day with a bushel of crabs and Old Bay or cozy up inside on an icy winter evening with a steamy bowl of cream of crab soup. But then I went to Chesapeake Brewing Company. Located on West Street in the downtown arts district, this pub offers all things local and loved: oyster pie, burgers piled high with crab dip, shrimp salad, you name it! I tried the crab dip because I'm not entirely stubborn and was blown away: so good! Perfectly creamy, plenty of crab (without it being too overwhelming for a newb like me), that classic Old Bay taste without it being overpowering, and piping hot. This on a burger?! I can't imagine a more delicious pairing. They also have classic brew pub favorites like a braided soft pretzel. I'm a sucker for these so, of course, I indulged. Very salty and soft and tasted good in the crab dip. I also noticed they ventured out to make their menu unique from other local food places downtown. They offered spins on the old classics. Want something cheesy and crabby, but maybe not feeling the thickness of a regular crab dip? The answer: crabby queso! Feeling something sweet instead of salty? Go for the s'mores flatbread. A campfire classic combined with the flatbread craze: yes, please! Chesapeake Brewing Company offers a full bar, but let's be honest: it's the beer you want! Brewed locally, each beer has a very Annapolitan name. There's the BEAT ARMY golden lager (I really like this one: go Navy! ), an Annapolis Summer Saison for warmer days, the Haze Gray & Underway IPA if you like hops, and more! I enjoyed trying the DEVIL DOG Hefeweizen. It's not your typical hef. It's brewed in tequila barrels which gives it a major kick. They also will have other local craft breweries on their guest taps. You can often find breweries like Jailbreak, Antietam, and Gypsy sharing their bar space. 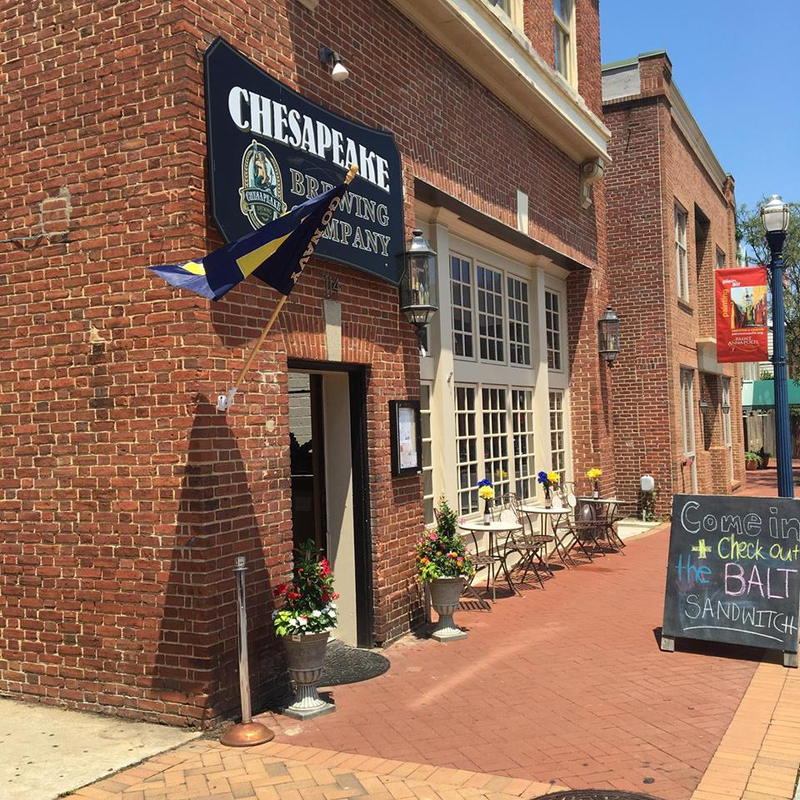 If you want a taste of Maryland, the Chesapeake Brewing Company should be your go-to pub! Have you been there before? What's your favorite thing to order? Tell us in the comments below! Itching for more Annapolis restaurant gems? Get some tasty Thai food at Lemongrass! Check out our review here. Stop by Maryland's own Our Community Now homepage for more local features that bring us all together!